One Dollar Death Ride: Public Transit in Russia. (In Soviet Russia, the Bus Rides You). A recent Op-Ed in the Pioneer Press: Kane, Quimby: Shift gears to ease traffic congestion in the Twin Cities mentions the Access to Destinations research. Minnesota is shifting gears in its approach to Twin Cities traffic congestion — a smart move given the limited impact of road-building on congestion, public-sector budget constraints, and the area’s surprisingly good travel times compared to other major metro areas. State and metro-area transportation plans now aim less at free-flow traffic conditions at all times on busy highways and more at better access to where people want to be. This approach emphasizes alternatives beyond the traditional long drive to work – meaning, for example, that travelers may take a shorter car trip to a nearby destination, a smooth transit ride down the MnPASS freeway lane, a work commute timed for off-peak hours, or even virtual travel from home to work via the Internet. The shift in emphasis lines up well with a number of realities. The first reality is that congestion has grown worse despite the fact that the region is already home to more highway miles per capita than most comparable metro areas. This is due in large part to the iron law of congestion: An expanded highway reverts to its previous level of congestion as it attracts new travelers and those formerly discouraged from using the route. The added lanes can handle more travelers, but congestion continues. The second is fiscal. A 2007 study from the Minnesota Department of Transportation and the Met Council estimated that more than $40 billion in government funds would be needed to ‘solve’ metro-area congestion by 2030 through major roadway expansions and related improvements — an amount that would require a $2-a-gallon increase if the revenues were to come solely from the gas tax. A third factor is that Twin Cities travel time on average is not so bad, when the goal is reframed away from congestion during the trip to reaching the trip’s end point. When we crunched the numbers, we found that the 13-county Minneapolis-St. Paul region ranks second among the nation’s 25 largest metropolitan areas for its short average travel time to work — a much better showing than expected given our population size. And recent University of Minnesota research finds that despite congestion, the ease of reaching destinations in the Twin Cities has improved. Access can be easier despite clogged roadways if the target locations are close by and reachable via short commutes by car, transit, biking and walking. This shift in our approach to congestion better aligns transportation policy with the ends (our destinations), rather than the means (the travel). While congestion is annoying, it comes with the territory in successful metro areas. A large number of people going places is a sign of a vibrant economy. Still, traffic delays cost the economy and undermine the public’s return on investment from highways. So how can we slow the growth of congestion to get more out of our existing transportation infrastructure? Managing the highway system using metered ramps at freeway entrances, rapid response to traffic accidents, real-time information on expressway signs, managed and priced highway lanes (used now for MnPASS lanes on I-394 and I-35W), and, when necessary, lower-cost but high-impact highway construction projects. Easing demand by shifting away from solo commutes and travel during peak drive time or by getting out of the car altogether and working from home, for example. Both expected increases in gas prices and continued congestion will likely encourage these actions by travelers. Banking more on transit, biking and walking to keep off our roads those cars that could otherwise push a crowded-but-flowing lane into gridlock. Transit carries more people per vehicle in less space and in this way increases thoroughfare capacity. Smarter land use – More compact and mixed-use development allows people to reach destinations without driving cars for long distances or without driving at all. And the concentration of jobs sites in certain areas – think downtowns – makes cost-effective transit possible. We can’t let congestion throttle the region’s productivity. Smarter investments in transportation help spur economic growth for the state and expand prosperity for Minnesotans. Whatever we do will cost money – and require revenues. But we can better target construction projects and use these strategies to better manage, use and maintain the road system we have. 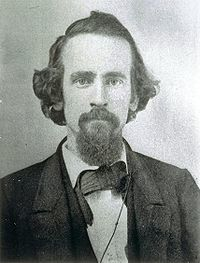 Henry George is coming to town. The 31st North American Conference of the Council of Georgist Organizations: “The Henry George Theorem at Work” will be held August 2-6, 2011 in Bloomington, Minnesota. For those interested in the ideas of Henry George, or in innovative ways to tie the financing of public sector to value created by the public sector, including the Land Value Tax, this is an important event. We wrote about George in Planning for Place and Plexus. Men did not make the earth . . . It is the value of the improvement only, and not the earth itself, that is individual property . . . Every proprietor owes to the community a ground rent for the land which he holds. A tax upon ground-rents would not raise the rents of houses. It would fall altogether upon the owner of the ground-rent. According to his granddaughter, actress and choreographer Agnes DeMille, Henry George was, at his death in 1897, the third most famous man in America, behind only Thomas Edison and Mark Twain. Over 100,000 people attended his funeral in New York. George was a political figure, a two-time mayoral candidate in New York (dying just four days before the election on his second bid), a newspaper publisher, and an economist. Born in 1839, he was in California during the gold rush and the railroad boom. He noted how railroads drove up land value and rents at a rate faster than wages. We should satisfy the law of justice, we should meet all economic requirements, by at one stroke abolishing all private titles, declaring all land public property, and letting it out to the highest bidders in lots to suit, under such conditions as would sacredly guard the private right to improvements. Thus we should secure, in a more complex state of society, the same equality of rights that in a ruder state were secured by equal partitions of the soil and, by giving the use of the land to whoever could procure the most from it, we should secure the greatest production. These views do not make George a “communist,” though some have dubbed his ideas “commonism” because the land is held in common. In modern language, his most famous proposal is that of a single tax on land. The idea is simple in its core, but is easily confused with other concepts due to the complexity of modern tax codes. First, it is a single tax, so no other tax would be required. Second, it is a tax on land, not property. So the question of “What is land?” should be answered. Land is, in short, nature’s bounty; it includes geographic spaces, but also mineral deposits, natural resources, and the electromagnetic spectrum. It is what would exist without labor. The value of land, particularly the value of geographic spaces, does depend on labor and what is done with other geographic spaces. A square meter of land in downtown Tokyo may be worth a square kilometer (or more) in Alaska. Most of the value of that square meter of Tokyo, however, is due not to the improvements by its owner, but rather to the accessibility to the land, which is created by everyone else in society. Taxing land based on the land value, rather than the property value, encourages full development of the land. The property tax discourages development of land, since all improvements are taxed. This helps result in an urban form of surface parking lots in big cities rather than developed land. The property tax also encourages leap- frog development in the suburbs. In contrast a land tax would apply the same tax to a parcel whether or not it were developed, thereby encouraging development to help pay the tax. This land value tax (LVT) is the current incarnation of the Georgist proposals. It is currently used in Singapore, Hong Kong, Estonia, and Taiwan, though not as the only tax. This idea, however, is not as radical as it seems; four Nobel-laureate economists urged Mikhail Gorbachev to adopt the land tax in 1990 as the Soviet Union was turning away from communism. Modern Georgists generally favor movement towards a single tax, but recognize the political impossibility of an overnight change, especially one which would eliminate not only property taxes but also sales and income taxes. The idea is illustrated in Figure 13.7. This policy would be in stark contrast to tax increment financing. Instead of subsidizing firms to develop fully, they would be taxed as if they were fully developed, and thus would it be more expensive if they don’t.